A brand new group hoping to fill a much needed hole in the hobby. Several years back, I got an email from a frantic hobbyist who was preparing to start his freshman year in college. With only a few weeks to go before he was to move into his dorm, he made an unfortunate discovery; this particular school didn’t allow any pets in the freshman dorm rooms. This young man had amassed a modest collection of a half-dozen or so tarantulas, and his mother, an arachnophobe, had already made it quite clear that the animals couldn’t be left behind. Instead of enjoying his last remaining days before starting school, this poor guy was desperately trying to find a new home for his beloved pets. He was even willing to part with them for free if they went to a good home, and he was hoping I might know of some place that would be willing to take his collection and ensure his animals got the proper care. 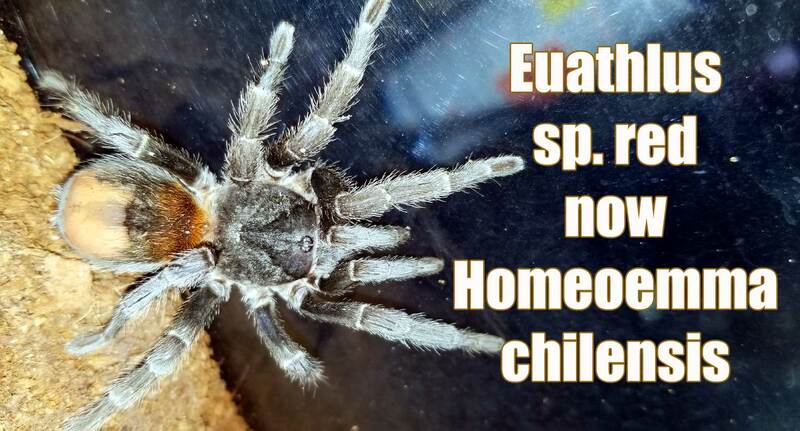 Over the years, I’ve received several similar emails from hobbyists looking for someone to adopt their pets, and I’ve usually directed them to the classifieds section of Arachnoboards or FaunaClassifieds. The truth is, although there are obviously a plethora of options for folks keeping warm-blooded vertebrates like cats, dogs, ferrets, etcetera, the options for invertebrate keepers are quite limited. 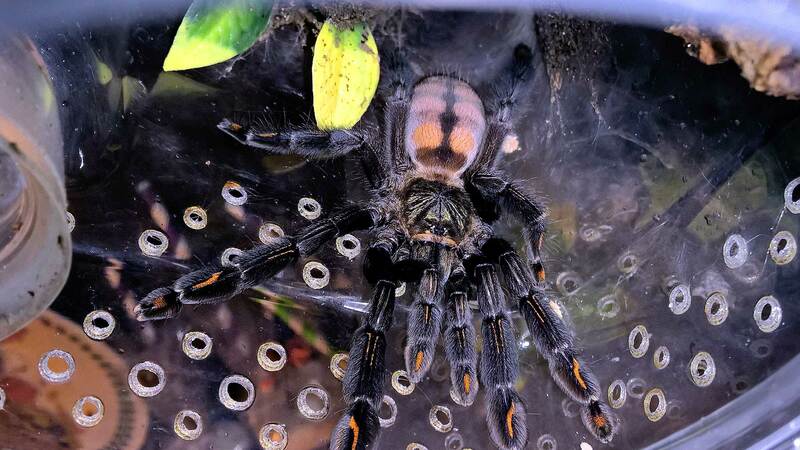 Although a few shelters will take in the oddball invert, most know little about their care or are particularly interested in dealing with the “creepy crawlies.” I’ve heard of cases of people with one or two spiders donating them to a school science teacher or a friend or family member, but what does one do when she has several spiders? Or, perhaps someone has outgrown the hobby and recognizes that he no longer has the passion to keep these animals. Where should he go to get them new homes? Sure, Craigslist and the classifieds can work, but selling off larger collections can take time…and emergency situations can lead to strict deadlines. Then there are hoarding cases or instances in which a keeper dies leaving behind dozens of pets that no one wants or knows how to care for. What happens to these animals after being confiscated by the authorities? Well, now there may be a new option. While chatting with hobbyist Samantha Miller, I learned about her idea to create an adoption and rescue service specifically for inverts. Within weeks, she had set up the ‘T’ Time Adoption/Rescue group on Facebook in an effort to see her idea come to fruition. With the membership numbers swelling and the group off to quite the auspicious beginning, I caught up with Samantha to learn more about this fantastic and much-needed new group. 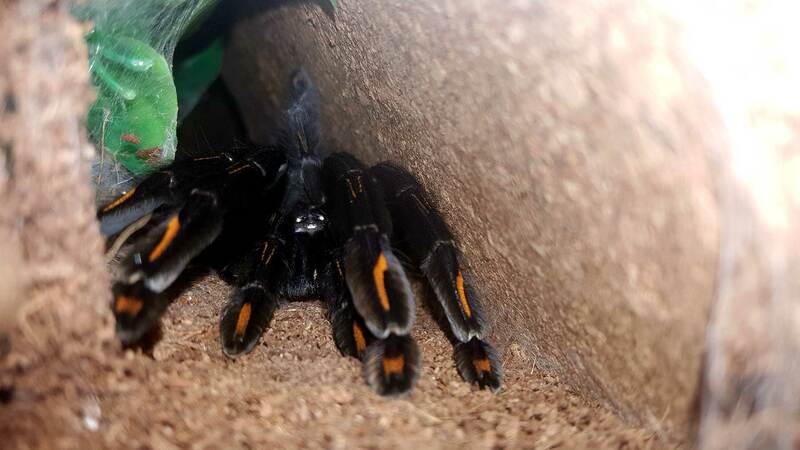 When I first became hooked by the hobby, I literally had to be convinced by a vendor to pick up my first spiderlings. True story. At the time, I was looking for sexed juveniles and adults, and the thought of caring for a tiny, fragile ‘sling was terrifying to me. What would I feed it? How should I give it water? What if the temperature in my house was too low? A thousand daunting scenarios played through my mind, and almost all of them ended with a dead spider. If you’re a hobbyist, please take a few seconds to participate! Okay, I’m hoping to get as much participation as possible on this, so my sincere thanks to anyone who takes a moment to answer or share these two polls. The first question pertains to whether or not you’ve ever experienced a bite under any circumstances. I hear a lot of folks, mostly those new to the hobby, make statements like, “it’s only a matter of time until I get bit.” Do bites happen? Sure. But my belief is that they are not very common. 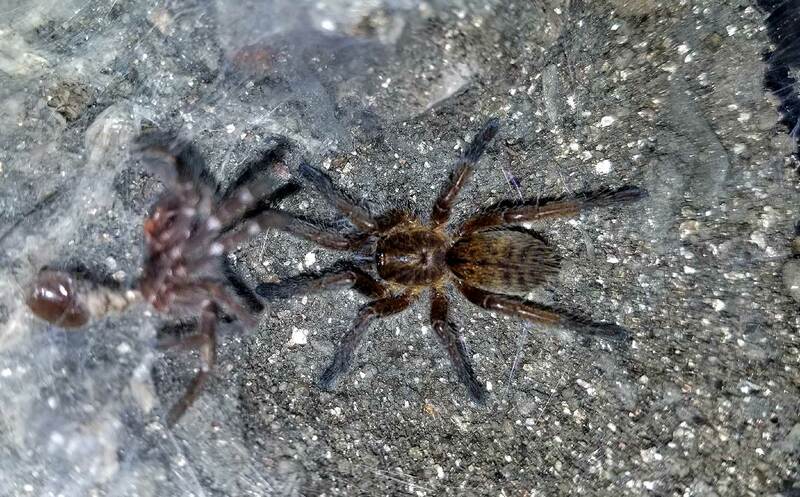 So, who out there has experienced the business end of a tarantula? When I first got into the hobby, I tended to ignore some of the smaller species. I was basically obsessed with larger Ts, and most of my wish lists were filled with the giant species with leg spans of 7″ or more. At that time, I didn’t get some keepers’ obsessions with the so-called “dwarf” species. 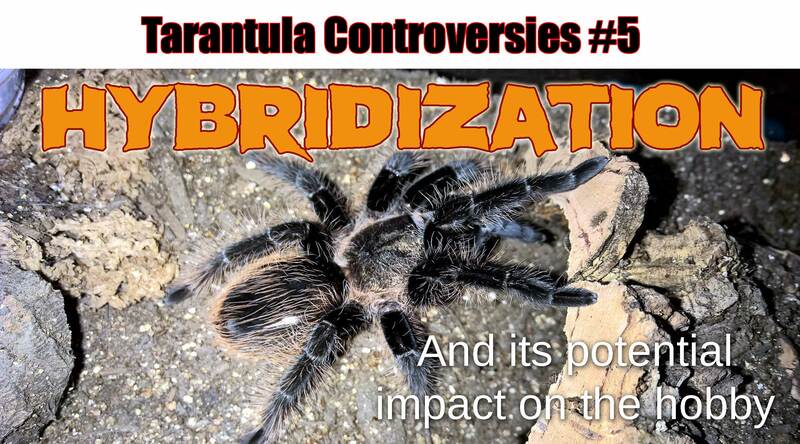 Wasn’t the point of keeping big spiders to show off species that were larger than your common garden spider? However, as my collection grew and I obtained more spiders, I matured a bit and let go of my anti-dwarf prejudices. I started to seek out smaller species like B. cabocla and dwarfs like Euathlus sp. 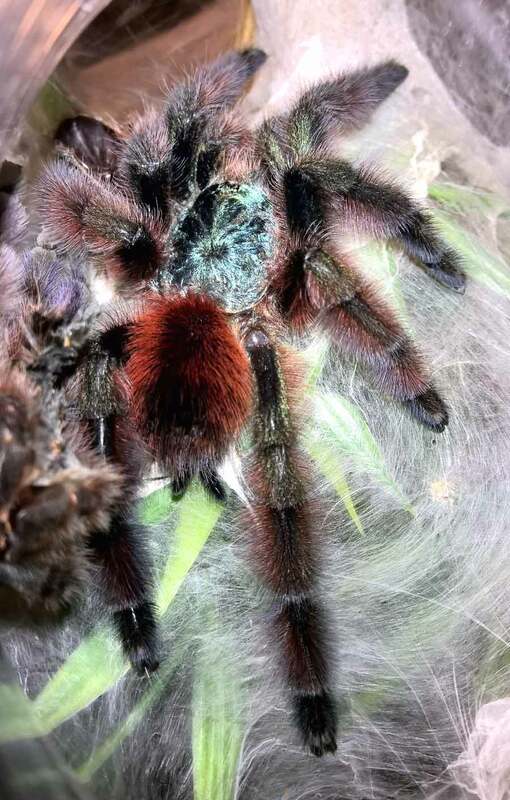 red and Hapalopus sp. Colombia larges. It quickly became apparent that by shying away from the more diminutive species, I was missing out on some amazing animals. 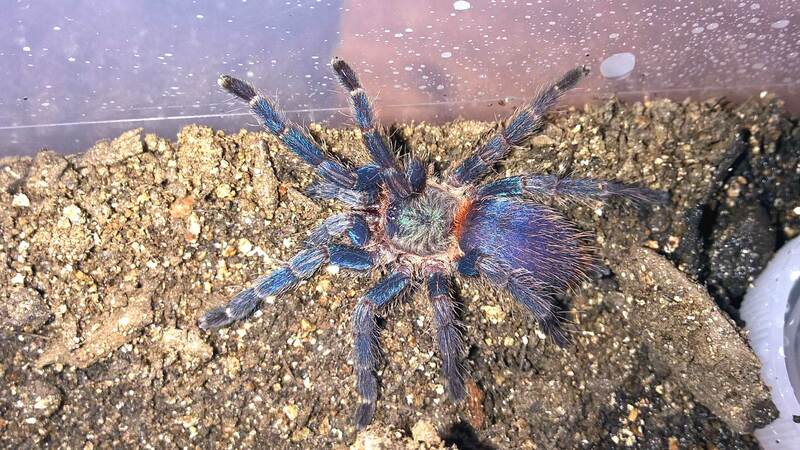 After seeing some photos of the D. diamantinensis, I immediately moved this small species to the top of my wish list. These gorgeous, highly sought after spiders looked like miniature GBBs with their blues, greens, and a touch of red. Unfortunately, the first slings in the US were quite pricey, so I decided to wait it out a bit until prices fell. 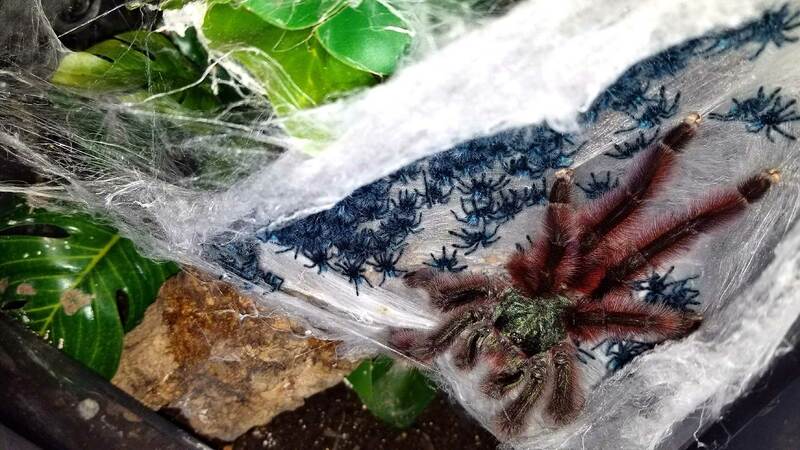 Finally, in December of 2016, I received three gorgeous little slings from Tanya at Fear Not Tarantulas with the polite warning that they were very fast.